With all the available land transport services – express trains, shinkansen and highway buses – you would be forgiven for overlooking air travel in Japan. But flying has its advantages. For one, there is a much wider variety of destinations you can reach directly by air, compared with the shinkansen, which doesn’t serve eastern Kyushu, northern Chugoku (Shimane, Tottori) or the island of Shikoku. If you want to visit any of these places by train, you will have to transfer from the shinkansen to a slower local service. 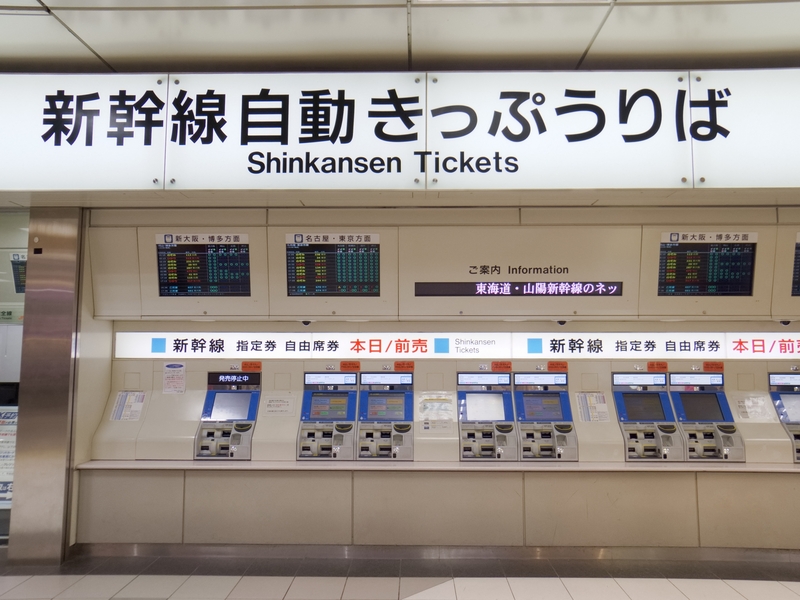 Unless you book through a travel agent, shinkansen tickets are generally only available up to a month in advance. At this point, you will likely find airline tickets to be the more expensive option. However, if you buy far enough in advance, flying can be significantly cheaper. A regular (unreserved seat) ticket on the shinkansen from Tokyo to Osaka, for example, will set you back around ¥13,620 one-way. On the other hand, if you book an airline ticket far enough in advance, you can fly to Osaka Itami in the range of ¥7,100-¥11,000 one-way. 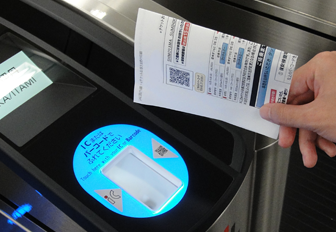 For a return journey, you can potentially save close to ¥10,000. You can read more about advance purchase tickets and other discounts here. While the cost of transportation to and from the airport should be taken into account, there are still major savings to be made by traveling by air. As long as you have your travel plans decided in advance, you should be able to get a better deal by flying than traveling by Shinkansen. One reason some people avoid air travel is the perceived hassle – check-in and security procedures, and a lot of waiting around. However, flying domestic in Japan is surprisingly hassle-free. By checking in online in advance and printing the barcode necessary for boarding, you can skip the check-in desk entirely, assuming you have only hand luggage. Additionally, while passengers for international flights are often told to arrive at the airport two hours before departure, and to check in at least an hour before departure, times are much shorter for domestic travel. As a guideline, JAL states that passengers should report to security 15 minutes before their flight, and to the boarding desk 10 minutes before. This means that you can potentially arrive at the airport only 20-25 minutes before your scheduled departure time. Naturally, for a domestic flight you will not be required to go through any security after landing, and can leave the airport directly. Traveling by air within Japan is a lot less time consuming than you might imagine. Most regular international travelers will be familiar with frequent flyer programs. Japan’s two major airlines, JAL and ANA have their own programs – JAL Mileage Bank and ANA Mileage Club respectively (LCCs typically don’t have frequent flyer programs). In addition to the usual benefits available for accruing miles, including flights, upgrades and discount coupons, if you do enough air travel you will become eligible for a premium status for the alliance your airline is a member of. JAL is a member of oneworld, while ANA belongs to Star Alliance. 30 JAL flights (15 return journeys) within the space of a year is enough to qualify for Ruby status with oneworld, which entitles passengers to benefits including priority seat reservation, Business Class boarding and priority on waitlists when on standby. 50 domestic flights is enough for Sapphire status, which give passengers to access to international airport lounges. In the past, getting in the air meant disconnecting from the wider world, but that’s no longer the case. Japan’s major airlines have free Wi-Fi on domestic flights, allowing you to stay connected for work or entertainment. 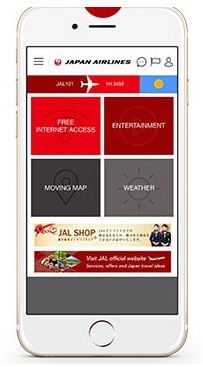 JAL and ANA also have a wide selection of programming accessible on mobile devices through their Wi-Fi access pages. Or you can ignore all that and access your own video or music streaming services, or just browse the web. Additional services are available if you upgrade your seat. JAL offers upgrades at the airport to Class J (similar to premium economy) for only ¥1,000, or to first class for ¥8,000. In addition to comfier seats, increased privacy and in-flight meals, first class passengers get access to a USB battery they can use to recharge their mobile devices, so there’s no worry about running out of charge from streaming videos in-flight. Airports – and particularly smaller domestic airports – are often seen as dull, dreary places – a necessary evil that must be endured to travel. But in Japan, where no opportunity for promotion is ever passed up, many airports offer much more than just a gateway to the skies. Most airports sell local specialty items including snacks and confectionary meant as omiyage (souvenirs). A few smaller airports double as “michi no eki” (link to article), public road rest stops that sell produce while promoting the local economy. Odate-Noshiro airport in Akita, for instance, welcomes passengers arriving on the 8th of each month with an Akita-ken – a member of the dog breed the prefecture is known for. Other airports, including Haneda’s domestic terminal, have rooftop observation decks where you can watch planes come and go. 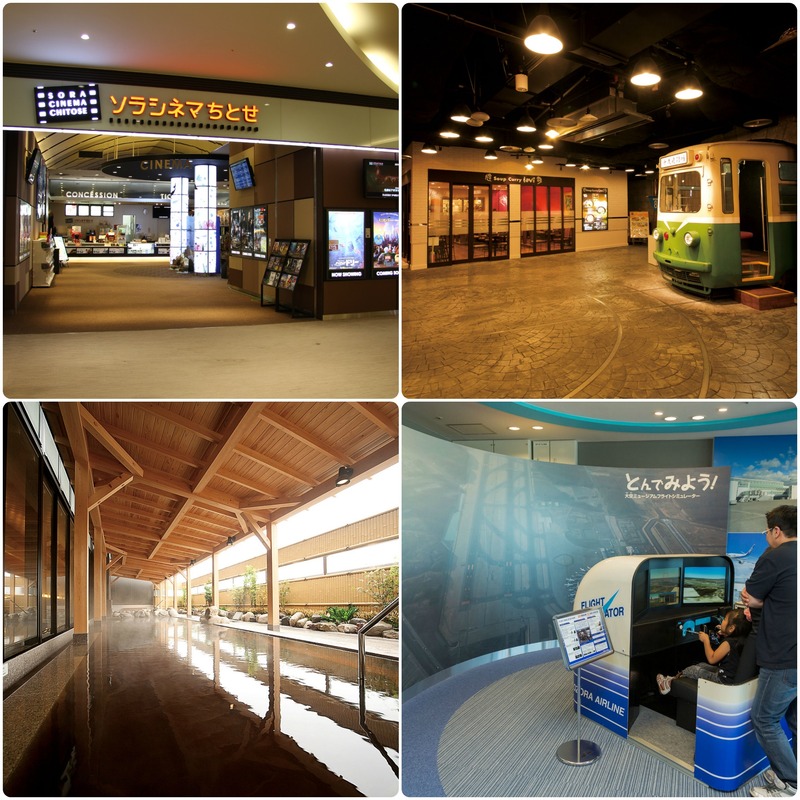 New Chitose Airport has a cinema, an onsen and an aviation museum. Perhaps Japan’s most impressive local airport is New Chitose Airport, which serves Sapporo city and the island of Hokkaido. The airport’s shopping mall includes a Pokemon store and shops selling fresh seafood, including the crabs the island is famous for. New Chitose airport is also the first airport in Japan to have its own cinema – perfect if you have to suffer delays. There are two aviation museums, and even an onsen where you can go for a quick bathe or even stay the night. There are also kids’ attractions and an amusement arcade. When leaving Hokkaido, you may want to get to the airport extra early just to have time to do everything on offer! The view out the window when flying is often neglected – at a certain height, one landscape looks much like another. 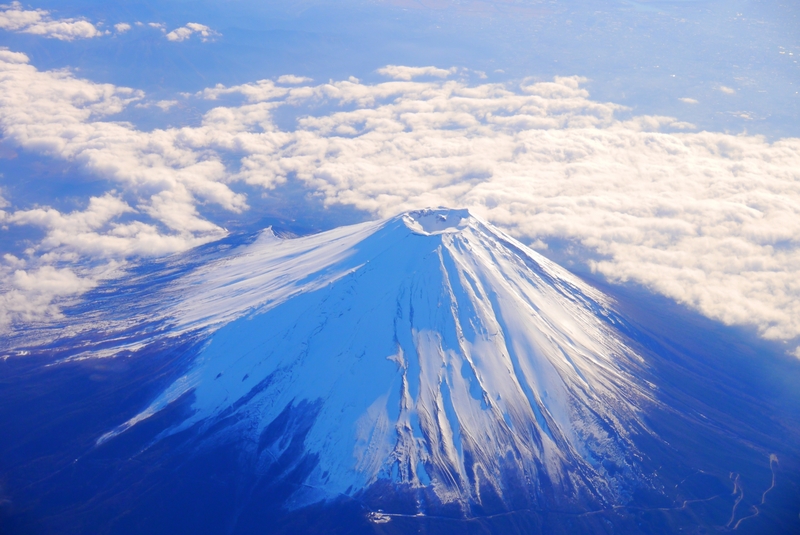 But when traveling between east and west in Japan by air, there is one sight you’ll want to see. At a height of 3,776m, Mt. Fuji towers over the surrounding countryside, and on a clear day the views of the mountain can be quite impressive. JAL has a handy guide that lets you know which flights offer views of the mountain, and which side of the plane you can see it from. It’s worth checking out so you can get a window seat on the correct side.